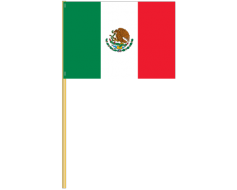 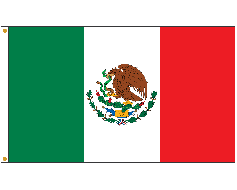 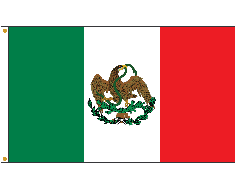 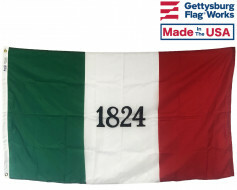 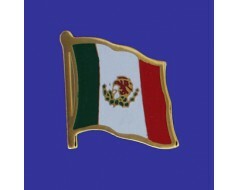 Printed Mexico flag, mounted to a staff. 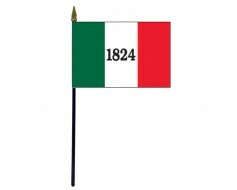 4x6" printed flag on 10" staff. 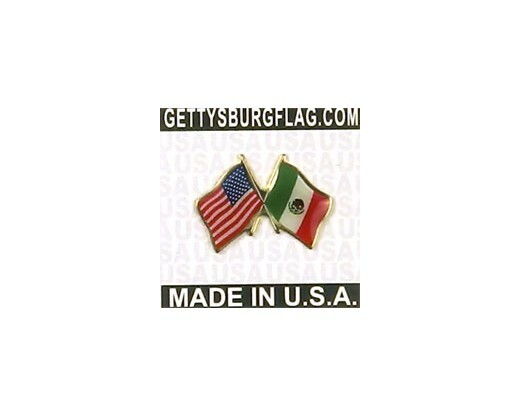 Mexico flag lapel pin with clutch fastener for securing to clothing.